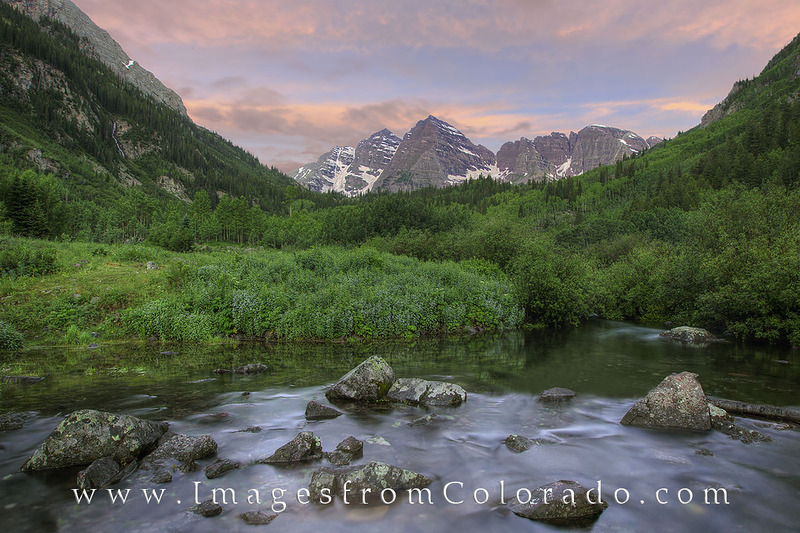 Soft light welcomes the morning at the Maroon Bells Wilderness area. This image was taken just above Maroon Lake. Water from melting snows flows down from the 14,000’ peaks and fills this small stream each spring. The view makes for a great walk, especially before the crowds from Aspen, Snowmass, and other areas arrive. Photo © copyright by Rob Greebon.